Team Valor forms partnerships with racing enthusiasts and members of the industry to run Thoroughbreds at the major racing venues of the United States and abroad. Team Valor not only is the most successful stable of partnership-owned racehorses, it is one of the most accomplished racing stables among all types of owners. For the last several years, Team Valor has been listed among the world’s 100 leading stables by the English publication Directory of the Turf. Statistics compiled by horses syndicated by the stable have not been approached by any other partnership-owned stable in the history of racing and annually rank Team Valor in the vanguard of all stables in North America. Selection - Team Valor has demonstrated an uncanny ability to identify Grade 1 talent before it becomes apparent to its racing rivals. Development - Team Valor has shown the ability to fully develop equine talent by matching up individual horses with the trainer best suited to maximizing its potential. Placement - Team Valor knows where to run its horses for maximum return, as evidenced by its strike rate in stakes races throughout the world. In short, Team Valor knows racing. It knows where to get horses, what to do with them and where to run them. Irwin selects all of Team Valor's racing stock without the need for consultants. Proof of the high regard in which Team Valor and its methods are held is that Team Valor is the only stable of any kind in North America that is regularly used by analysts in Daily Racing Form as a handicapping factor. Based on the recognition of Irwin’s eye for prospecting talent and the placement of his horses, handicappers in Daily Racing Form have made a habit of referring to Team Valor's "clever" purchases within the confines of their analyses. The reason Team Valor is the only owner regarded as a handicapping factor by such an authority as Daily Racing Form is that Team Valor's principal is not an owner of the usual kind, but an astute professional racing manager with a track record second to none. Barry Irwin is at home at the racetrack, both on the frontside and on the backstretch. Irwin has done it all in racing, in the process honing eye and craft to a point where he is recognized by horsemen throughout the world as being able to identify talent and develop it to the fullest extent. The beneficiaries of Irwin’s fine work are those clients of the stable who have been on board for an astounding journey that has seen many of them standing in the winners' circle with some of the most sought after prizes in the history of the Turf. Barry Irwin and Jeff Siegel, great friends since meeting in the press box in 1970, in the ensuing years owned horses together and shared a mutual interest in scouting for runners with a future. In the winter of 1987, as introduction of simulcasting held out a promise of increased purses, Irwin and Siegel became the prime founders of Clover Racing Stables. Luck was with the venture from the beginning, as the first horse to wear the black silks with green clovers was Political Ambition. Before that first racing season was in the books, Irwin and Siegel became the majority stockholders in Clover, Political Ambition became a Grade 1 winner in the Hollywood Derby and English import Lizzy Hare won the Grade 2 Del Mar Oaks. Within two years, Irwin/Siegel gained reputations as the "upset kings." First they sent out 50-to-1 longshot Martial Law to win the $1 million Santa Anita Handicap. Then Prized shocked the racing world by upsetting Kentucky Derby and Preakness Stakes winner Sunday Silence in the Swaps Stakes. Then they sent out Prized to win the $2 million Breeders’ Cup Turf in his first start on grass. Early in 1992, when the two other shareholders in Clover were unwilling to inject capital into the venture, Irwin/Siegel ceased syndicating horses as Clover and formed a new entity in which they owned all of the stock. 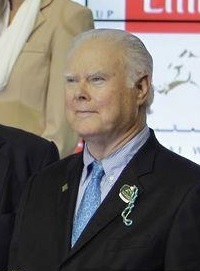 Barry Irwin designed the distinctive crimson and forest green silks and named the new venture Team Valor, after that aspect of equine character admired most in a racehorse by him. "We were always bold and our business partners had been restricting our creativity," Irwin said. "The first move we made on our own was to buy My Memoirs, who had never run on dirt in England. We thought he was a Belmont Stakes horse, so we had him trained on the all-weather by Richard Hannon, who produced him on race day for the race of his life. The colt came flying to finish second to A. P. Indy." In its second season of operation, Team Valor won 21 stakes races, a figure exceeded only by multiple Eclipse Award-winning owner John Franks, who raced many more horses than Team Valor. Seasonal earnings for Team Valor was $3,465,369. The upsets continued as before, as Star of Cozzene first shocked Lure in the Caesar’s International, then robbed him of a $1 million bonus from sponsor Early Times in the Manhattan Handicap at Belmont Park. 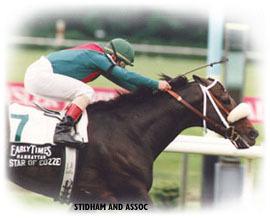 Team Valor continued to develop Triple Crown horses, such as Captain Bodgit, Thomas Jo and The Deputy, as well as a bevy of brilliant fillies such as Golden Ballet and Cashier’s Dream. Team Valor moved its headquarters from California to Versailles, Kentucky in order to sharpen its focus on acquisitions both at home and abroad, as well as allowing Irwin more accessibility to Team Valor’s horses trained in the Midwest and the East Coast. "We now have more direct communication with our horsemen and our clients," Irwin said. "We rely heavily on the phone and e-mail to communicate with our clients and they get all of their information directly from the top. "With no staff to supervise and no salesman to pay, I have more time to spend on managing horses and prospecting for new ones. I think the results over the past few years speak for themselves." Irwin said that Team Valor has a loyal client base that is interested equally in success and fun. "We have a sophisticated group of partners," said Irwin. "They participate with us because they want to have the satisfaction that comes from owning a horse that can run at the top level of the sport. "Their enjoyment comes from the pride of owning a quality racehorse. They don’t just want to participate, they want to compete. They expect us to produce winners. We know this and that is why we work so hard to keep the winners coming. If we don’t continue to produce, we know they won’t stay with us. So we never stop trying to do better." 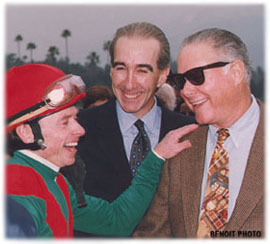 As of July 1, 2007, Barry Irwin bought out his longtime friend and business partner Jeff Siegel and renamed the stable Team Valor International, to reflect a change in the company's business plan that had taken effect in the years immediately preceding the buy out. "Truth be told, we had been international for years," said Irwin. "We sensed the world was going 'flat' with the revolution of the Internet and I have always been more interested in prospecting talent abroad than locally, because of the variety of horses in other countries. "I have always said that a good horse can come from anyplace and we set about to prove the notion as the new millennium began. "Look at all the good ones we've bought abroad, such as Santa Anita Handicap winner Martial Law and Belmont Stakes runner-up My Memoirs. "What changed, though, was into the new millinnium we began racing a lot of horses abroad before bringing them to the United States." Most famous horse in this trend was the fabulous filly Ipi Tombe. Bred in Zimbabwe and raced in South Africa, she had lost only twice in 10 starts. 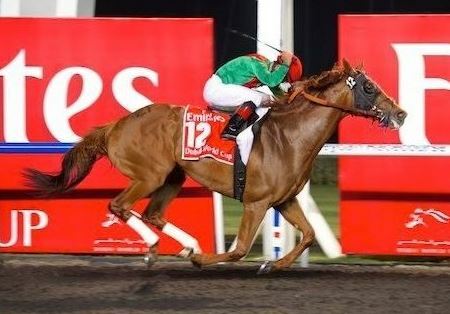 For Team Valor and partners, the filly won all 4 of her starts, capturing the racing world's imagination when she beat males in the $2-million, Group 1 Dubai Duty Free in the United Arab Emirates. She was 3 for 3 in stakes races in Dubai, setting new course and stakes records in each contest, then won her lone start in the U. S. at Churchill Downs before being retired and sold at Tattersalls' December Sale, where she topped the sale. Since Barry Irwin moved to Kentucky just before the year 2000, Team Valor has dramatically increased the number and scope of its international quest for equine talent. During this period of time, Team Valor has had Horses of the Year, Champions and Group 1/Grade 1 winners in England, Ireland, France, Italy, United Arab Emirates, Hong Kong, Canada, the United States and South Africa. "We plan to continue to scour the globe to find and develop the best equine talent available," said Irwin, who in the past couple of years has bought horses in England, Ireland, France, Italy, Germany, South Africa, United States, Canada, Uruguay, Brazil and Argentina. Barry Irwin gave up fiction writing in 1969 and left his native California to pursue a career in non-fiction as a staff writer for The Blood-Horse in Kentucky. In the next decade, Irwin spent a year in the bluegrass, went home to write for and later edit the Thoroughbred of California and pen the Southern California column syndicated in Daily Racing Form. He hosted a twice-weekly two-hour radio program, as well as a weekly, one-hour television show. Irwin learned his lessons well. His first two runners won for Irwin while he still wrote for Daily Racing Form. Irwin left the Form at the close of the 1978 Del Mar meet to become a bloodstock agent. In the next decade, Irwin bred, raced, syndicated, bought and sold several hundred horses, including It's the One, African Sky, Moscow Ballet and Torsion. After a decade in bloodstock, Irwin in 1987 zeroed in on the aspect of racing for which he felt most suited--operating a stable of syndicated racehorses. He formed a partnership with longtime friend Jeff Siegel and the rest, as they say, is history. "The creative challenge of spotting and developing the equine talent, coupled with the satisfaction of being able to allow other people to realize their dreams, is an unbeatable combination," said Irwin. "I am indulging my desires of being a track coach, screenwriter and Hollywood producer all rolled into one." The nickname given him by some friends has stuck and Irwin is known among his clients as “B Eye,” referring to an uncanny ability that has gained him “legendary” status in ferretting out talent from some of the most unlikely venues the world has to offer. Irwin was a founding director with the equine-related charity “Race for Education,” which raises money to provide college scholarships to the offspring of backstretch and farm workers. In 2006, Irwin became the organization’s inaugural recipient of the “Valedictorian Award” for outstanding service to the charity. 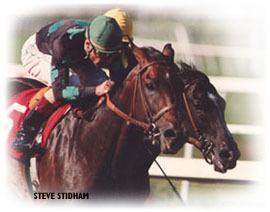 In 2002, Irwin had his story about his favorite racehorse Swaps published by Eclipse Press as part of its biographical series of legendary racehorses. 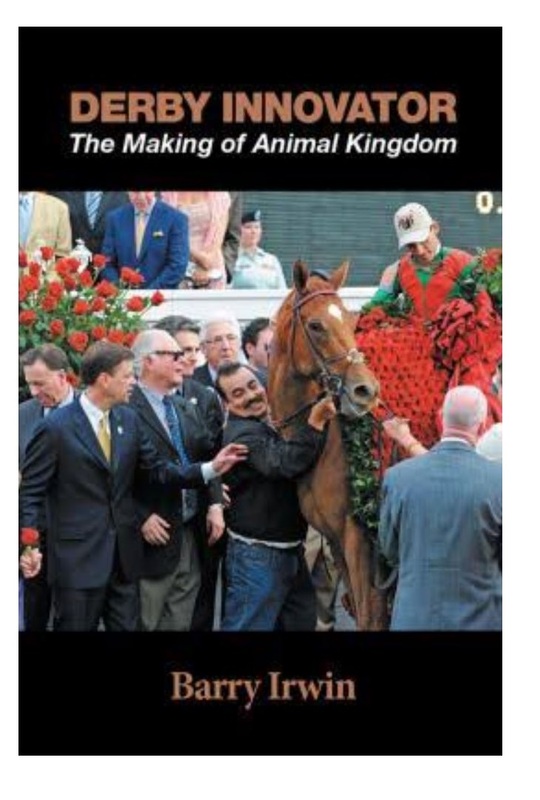 In 2016, Irwin published his memoirs in the book "Derby Innovator; The Making of Animal Kingdom." Jessica is a Louisville Kentucky native and grew up on a horse farm for fox hunters and eventors. A lifelong passion for horses led her to become an exercise rider at age 18. She attended the University of San Diego for her bachelor’s degree in International Relations and continued to work in the Thoroughbred industry on summer holidays. After graduating in 2015, she came to work as an intern for Team Valor, where she organized the Stan Bergstein Award ceremony. Jessica then embarked to Australia to for an internship at Arrowfield Stud through the autumn carnival. She also spent three weeks shadowing Gai Waterhouse before returning to America. In 2016 she was accepted to the Godolphin Flying Start, a 2-year full-time international management and leadership training program that has produced several new leaders in the international racing/breeding/sales community. Godolphin Flying Start is accredited by the University College Dublin Michael Smurfit Business School as a Graduate Certificate in Management, as well as by the University of Arizona (Racing Officials Accreditation Program) and Kentucky Horseshoeing School. Jessica knew she wanted to work in racing syndication at the end of the course, and kept in correspondence with Barry Irwin, who told her after her TVI internship that she had a job waiting for her with the company anytime she wanted it or was ready for it. During her time with Flying Start, she chose to perform her work placements across a variety of fields in order to develop the necessary skills and experience to pursue her goal of managing a syndication company. In the US, she worked with trainer Ralph Nicks at Gulfstream Park, riding in the mornings and taking horses to the races in the afternoons. In Australia, she was based at Godolphin’s Crown Lodge Stables, and focused on learning about programming and race tactics from Dominic Beirne. Once the largest on-course bookmaker in Australia, he is now an advisor to Godolphin Australia’s private trainer James Cummings. During her time in Dubai she worked with the Godolphin marketing team throughout the carnival and leading into the World Cup on their social media strategies, including writing copy for their promotional videos and hosting their Instagram as a presenter during the races. 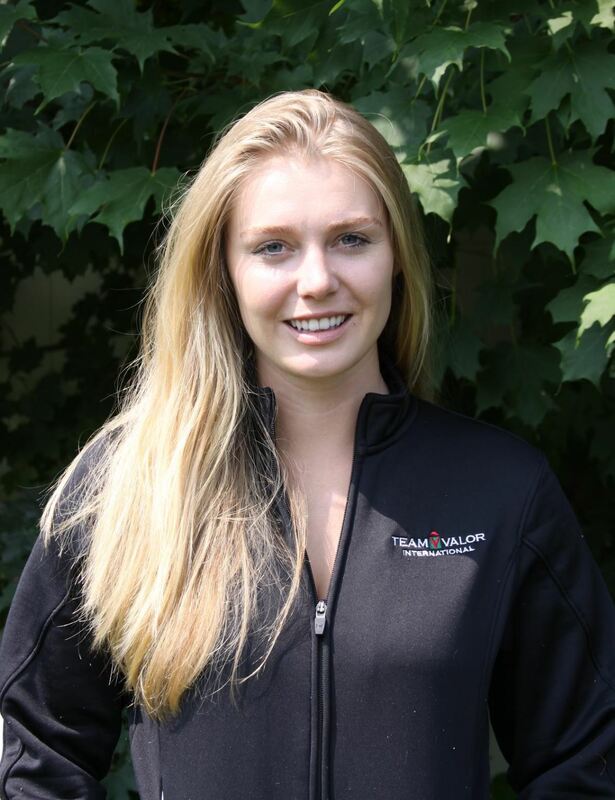 After accepting a job with TVI upon completion of the course, Jessica chose to complete her final placement with Stuart Boman at Blandford Bloodstock in Newmarket. During this time she studied conformation and worked on research projects, including analyzing factors influencing the performance of European imports into the United States. Jessica joined the TVI executive team upon graduation from the Flying Start in July, 2018. In her free time, Jessica rides and gives lessons on her off-the-track racehorse. Kathleen Jones Irwin joined Team Valor as its only employee in 1999. She worked as Barry Irwin's secretary and office manager for about 7 years. She currently maintains the stable's website and statistics, as well as coordinates the presentation on-line of new acquisitions to the stable. Born in Cherokee, Oklahoma, Kathleen spent her teen years in the Northwest, where she became enthralled with racing at nearby Playfair racetrack in Spokane, Washington. What led the fair maiden to that den of iniquity on the leaky roof circuit was something as innocent as a Stallion Register bought at a downtown used book store in Portland, Oregon. "I have always been interested in genealogy," admitted Kathleen "and I just became fascinated with the families and pedigrees in that book. It led me to the racetrack, where I found the game intriguing in all of its aspects." Kathleen eventually moved to the bluegrass of Lexington, Kentucky, where she operated the foreign research wing of Bloodstock Research Information Services. 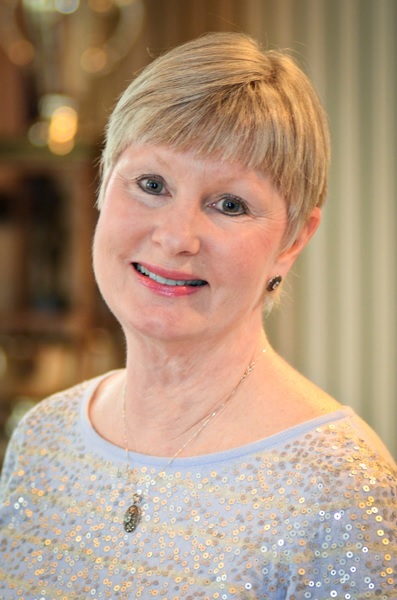 An award-winning author, Kathleen has written both fiction and non-fiction of distinction and import. Her tutorial on dosage, which can be found on this website on the library page, has aided many a newcomer to the industry in understanding the basic principles of the discipline. She has written extensively about the history of the Triple Crown and its participants. Along with her sister Joy, she started and helps to maintain an on-line database of all horses to ever participate in the Triple Crown races. Two of her short stories have been included in an anthology of award-winning fiction published in 2007 by the Thoroughbred Times named "Thoroughbred Tales." She is married to Barry Irwin and resides in Lake Worth, Florida. They have two dogs; a Scottish Terrier (Jock) and a Standard Poodle (Velvet). In her spare time she likes to watch Seattle Seahawks football games. Jennifer Station heads the accounting department. 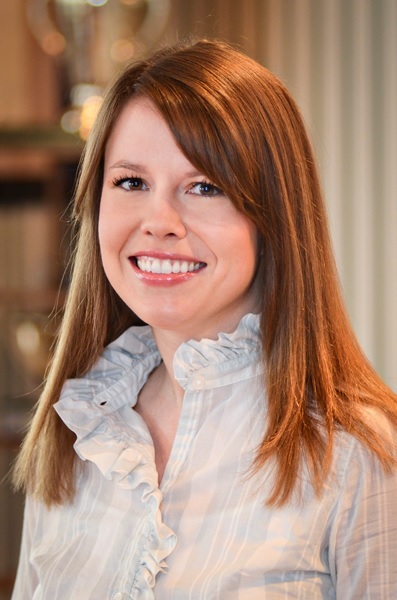 After earning degrees in both accounting and marketing from the University of Tennesse at Knoxville, Jenny worked as a bank auditor at big-five accounting firm KPMG and locally in Lexington at Crowe Horwatch. She worked alongside Christy Niefhoff at Crowe, which is the accounting firm Team Valor consults with. Her father James Brace, a veterinarian, is the associate dean of the vet college at Knoxville. Jenny is married to Kevin Staton, who is a tax accountant, and they have a son, Hudson. Jenny enjoys hiking and camping. Julie Burke joined the accounting team in January 2012. The Louisville native handles accounts payables, accounts receivables and bank deposits. Previously she worked as a full charge bookkeeper and contract administrator in the construction industry in Florida and North Carolina. Working in the equine industry comes naturally to her, as she farmed outside Louisville after high school and owned a roan Saddlebred named Redbird. Julie has three grown children and lives with her rescue Basset Hound in Lexington. 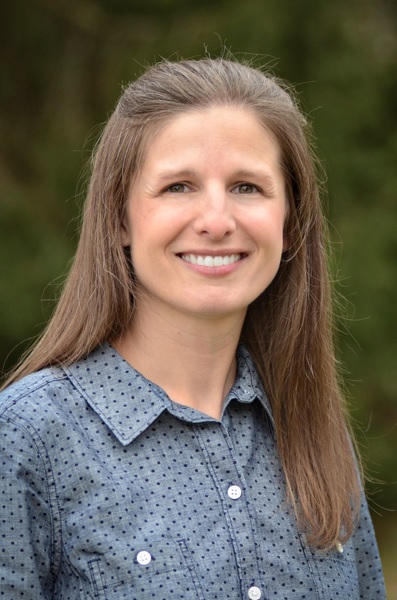 Christy Neihoff hails from the western part of Kentucky in Paducah. Before joining Team Valor in January 2011, she worked for 4 years as a bank auditor for a major Lexington accounting firm which Team Valor consults with on taxes. She graduated from the University of Kentucky and is a passionate fan of the Wildcats basketball team. She earned her CPA license in 2013. She oversees all functions of the day-to-day operations in the accounting department including bookkeeping, billing partners, paying bills and making distributions to the partners. Christy lives in Lexington and owns a dog named Derby.